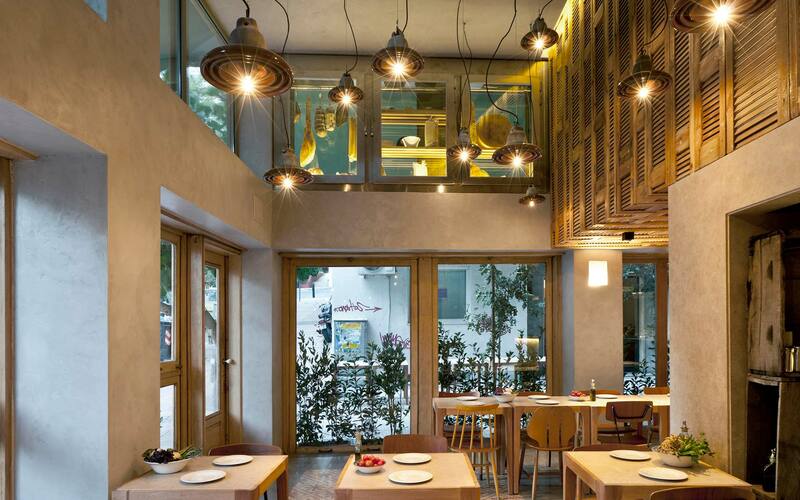 Capanna is a pizzeria / trattoria in Kolonaki, an area in the center of Athens. The experience of eating outside was the starting point for the design. 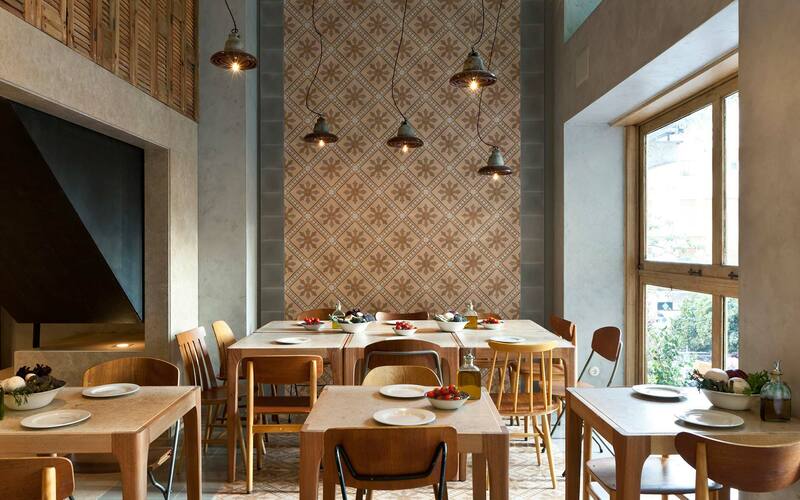 The aim was to render the space with the atmosphere of an Italian courtyard. 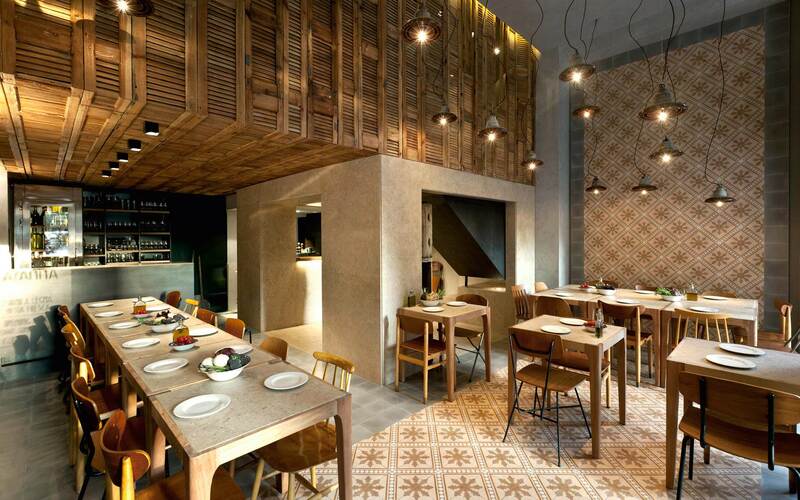 A pallet of materials found in these spaces such as cement tiles, stucco plaster, travertine stone, blackened steel railings, and characteristic narrow wooden shutters, was used to clad the spaces in the restaurant. The wood burning oven and the pizza bar are enclosed within a travertine stone box that sits in the corner of the space framing the Pizzaiolo. 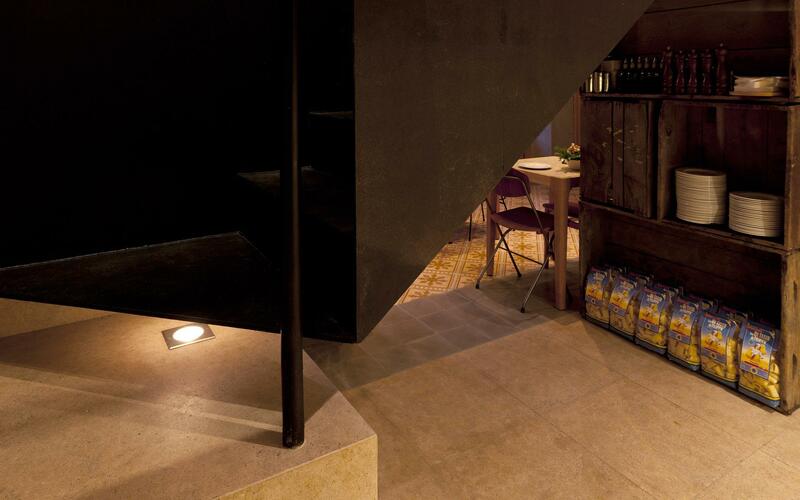 On top of it balances a volume clad with reclaimed wooden shutters, enclosing the kitchen, storage and WC facilities. The two shapes connect with a suspended steel staircase that penetrates them. 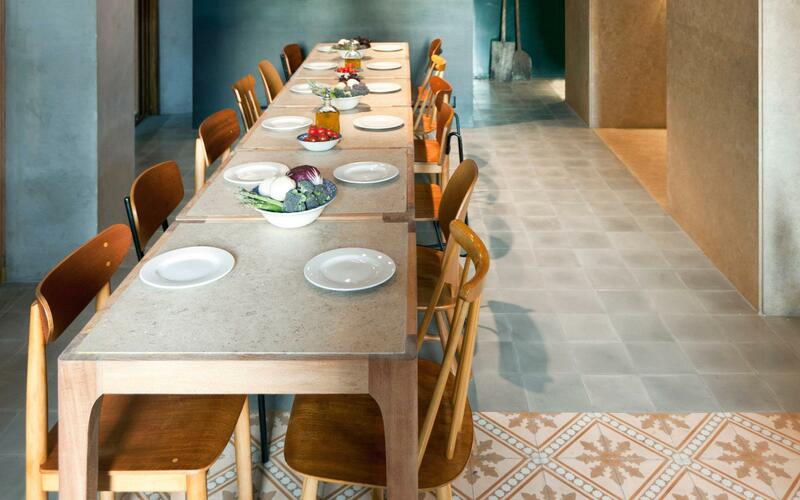 The floor is laid with grey cement tiles but in the double-height area of the restaurant geometrically patterned cement tiles create a carpet-like strip that continues onto the adjacent wall, emphasizing the height of the room. The vintage chairs add softness and a laid back feeling to the restaurant and the stucco plastered walls and ceiling help to enclose all of this in a textured, minimal envelope. On the first floor artist Joanna Burtenshaw has illustrated the walls with drawings depicting the process of making fresh pasta. 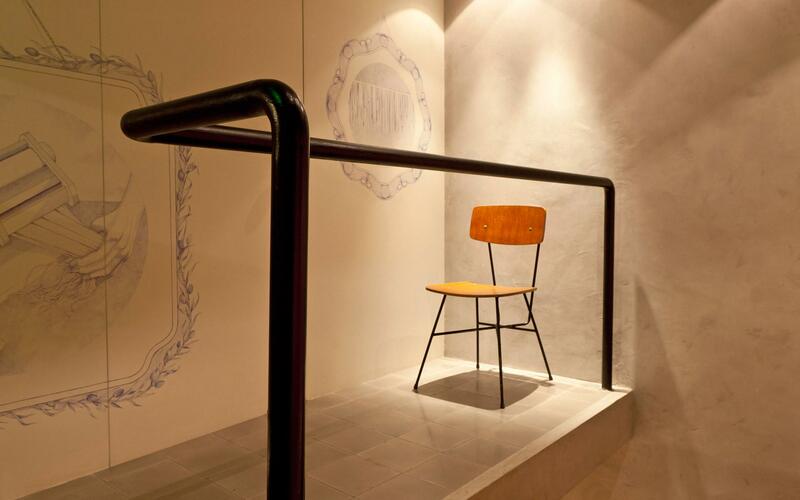 The combination of purposefully designed elements, reclaimed materials and vintage furniture, presents an architecture that sits comfortably between the bespoke and the sourced, creating an exciting and sociable atmosphere.